Over the past few years, the celebrities and models have set a new eyebrow game, and now suddenly all the focus has shifted to the eyebrows. Well-groomed and shaped eyebrows can frame the face and completely change the looks of an individual. The first step to well-groomed eyebrows is getting them shaped. There are various ways to get them shaped: threading and waxing. Both the methods have their pros and cons. In India, preferred method is threading. 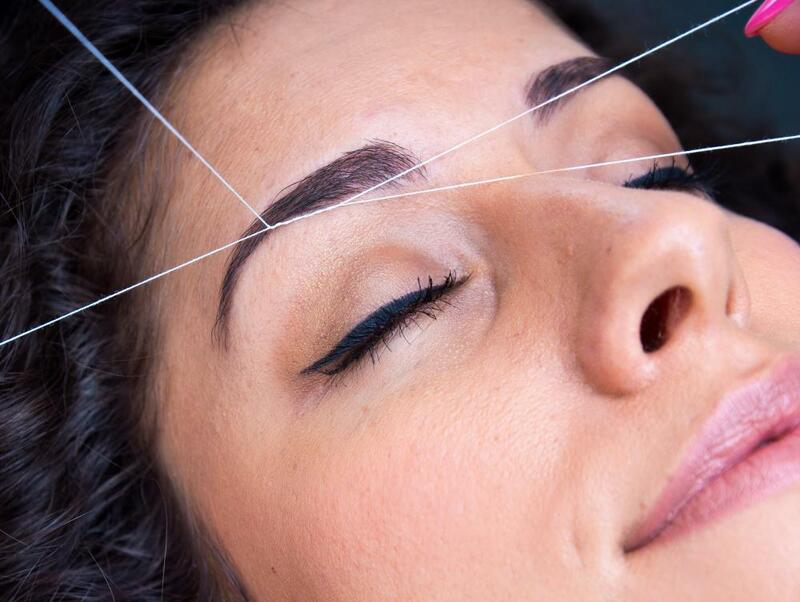 Let’s look at some ways how you can improve your threading experience the next time you hit the salon. Do choose your technician well. Don’t be fooled that all the technicians are trained well. They may break your hair instead of removing it completely from the roots. Also, few technicians are trained so well that they can reduce the amount of pain inflicted during the process. Make it a point to ask your friends, relatives and check online reviews before making the appointment. To get your brows shaped well, refrain from using your tweezers a couple of weeks before your appointment. Let your hair grow out. It makes it easier for the technicians to shape the brows when in full growth. Sometimes the technician knows better than you. They’ve been shaping brows and have an idea what will suit a face type. Do tell them what shape are you looking for and ask for their inputs on it. They may suggest something better. Also, when you have completely grown your brows to get them shaped, don’t just ask for a clean up. Communicate with them to find out better options for you. Don’t pile on the makeup before your appointment. Refrain from using any brow products as it may be a problem for the technician. Also if you’re the teary kind, avoid using mascara as well. If you have any prior commitment after your brow appointment, talk to your technician and ask her to work around the makeup. In other cases, remove your makeup well before the appointment. Threading is a gentler alternative compared to waxing. However, people with sensitive skin are prone to redness and a little itchiness around the area. My eyebrow area gets red and pimples show up. I often use an ice pack to soothe it. A little post-threading moisturizer along with a massage can reduce the redness. Using a facial spray post threading can help reduce the pain and redness as well. One way to disguise growth between appointments is with a concealer. A brow pencil and powder will also come in handy to highlight a crisp shape. It’ll avoid you getting threading for some time and can also leave you with nice looking brows. You can use a highlighting concealer to make the area around your eyes appear bright. Don’t go overboard with these products, though. I hope you guys have a good experience the next time you make a threading appointment.